Note: Sportsnet NOW will be home to every Flames playoffs game, blackout-free. Looking to stream Flames games online, without blackouts? 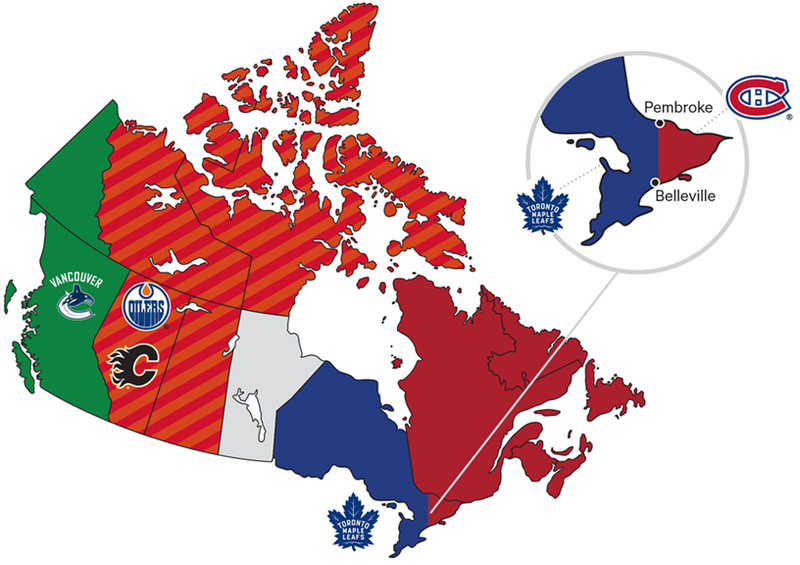 If you live in the red and orange highlighted region above (Alberta, Saskatchewan, Nunavut and the Northwest Territories), you are located in the Calgary Flames broadcast region. As Sportsnet is the exclusive broadcaster of the Calgary Flames in Canada, a subscription to Sportsnet NOW lets you watch all 82 Flames (43 regional + 39 national) games* live and blackouts free. Sign up for as long as you want and cancel whenever you’d like. Note: Calgary and Edmonton occupy the same broadcasting region. All 82 Edmonton Oilers games are also available in Sportsnet NOW if you live in this region. If you’re traveling outside of the Flames viewing region, you will be subject to blackout restrictions in that region. In addition to streaming every Flames game, a subscription to Sportsnet NOW also lets you stream over 500 NHL games, including more Canadian team games than any other network, all outdoor games, the NHL All-Star Game, NHL Draft and entire Stanley Cup Playoffs. While we can’t predict who’s going to win the Stanley Cup, here’s what we’re sure about: Sportsnet NOW has got Flames fans covered every minute, every period, every game along the way. *Game and content availability may change over time based on changes to league schedules, programming changes, expiration of rights agreements, or the addition of new content as Sportsnet acquires new rights.